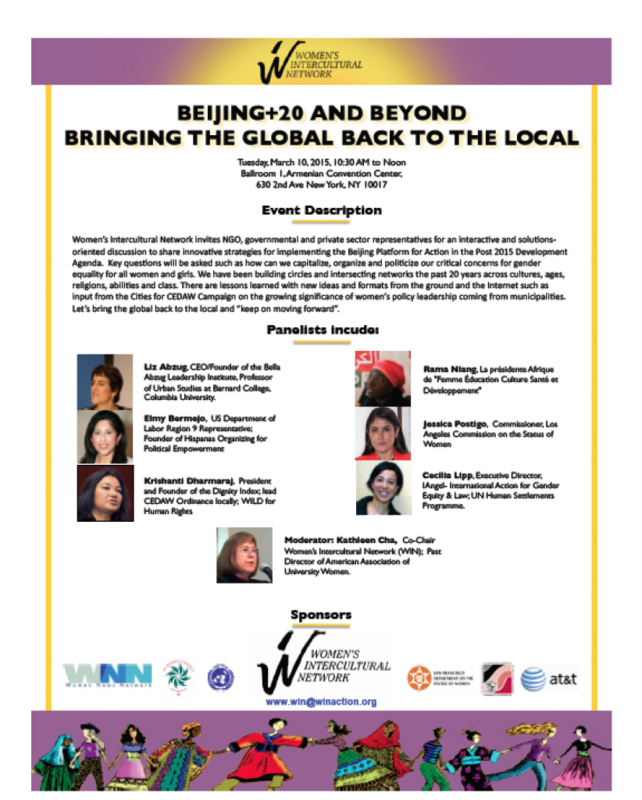 THIS IS OUR YEAR … women and girls locally and globally who have been following the Beijing mission and those who want to engage in the next Beijing era – Beyond Beijing. 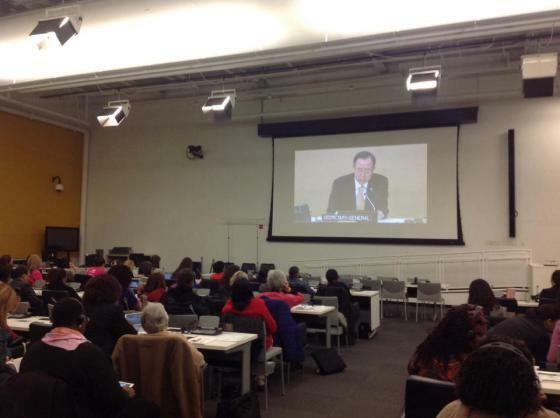 On March 9, 2015 over 10,000 mostly women are expected to attend the 59th Session of the UN Commission on the Status of Women in New York City. For the next 10 days they will look back at the past 20 years of progress and barriers to the Beijing Platform for Action. They will lobby their country Missions (country offices at the UN ), meet and greet women from other countries, attend forums and cultural events. 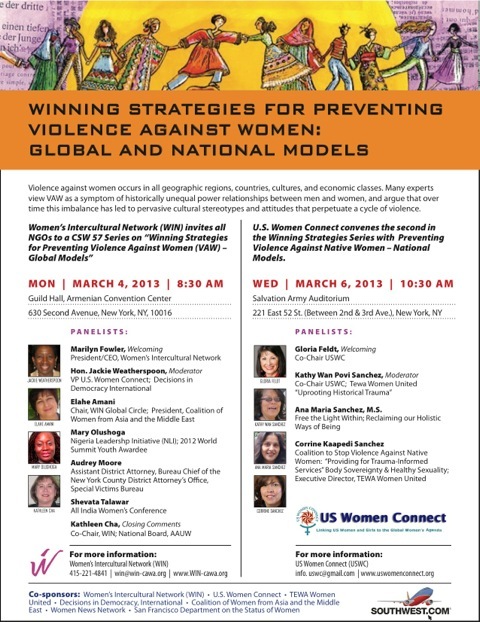 The UN CSW will deliberate on an Outcome Document that will become Agreed Upon Conclusions. Hopefully. Since 1998 WIN has been a Non-governmental Organization with Special Consultative Status to the UN ECOSOC ( Economic and Social Council, a significant policy making body of the UN. With that status WIN can accredit official Delegates to UN meetings. We can submit oral and written statements and Impact UN outcomes. STAY WITH US AS WE WATCH, LISTEN TO AND CELEBRATE WOMEN AND GIRLS’ PROGRESS FOR THE PAST 20 YEARS. Download the schedule PDF. For the history of UN Conferences for Women and documents from those at our Beijing+ HERE. 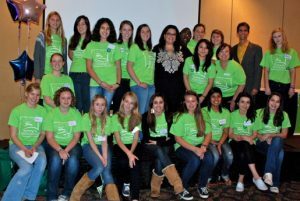 For updates on this year’s NGO Parallel Forum HERE and the UN WOMEN site HERE. Follow us on Facebook and Twitter during the conference. 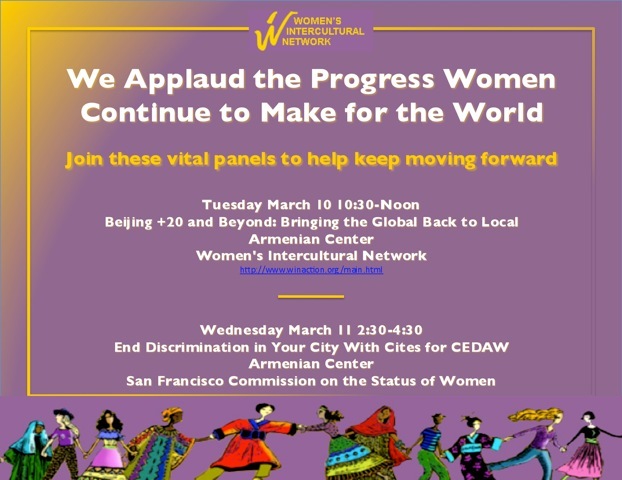 BE PART OF MAKING HISTORY AS 100 MAYORS SIGN ON FOR CEDAW ORDINANCES IN THEIR CITIES. 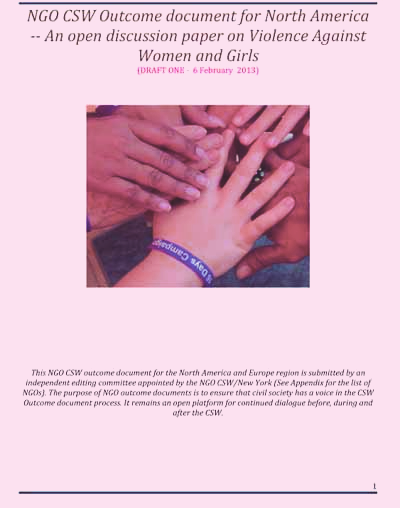 CEDAW: the Convention on the Elimination of All Forms of Violence against Women is a campaign to implement a CEDAW ordinance in 100 or more cities at the municipal level by 2016. 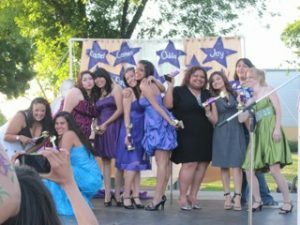 See more on CEDAW and the Campaign that WIN is Peer Leading with San Franciso Department on Women. MARCH 21, 2014 The United Nations Commission on Women closed the 58th Session on Friday March 21, 2014 with ‘Agreed Upon Conclusions” on the Theme of challenges and achievements in the implementation of the Millennium Development Goals (MDGs) for women and girls and the Review theme was the access and participation of women and girls to education, training, science and technology, including for the promotion of women’s equal access to full employment and decent work. Read the Debrief on the WIN blog here ! MARCH 15, 2013 The United Nations Commission on Women closed the 57th Session on Friday March 15, 2013 with ‘Agreed Upon Conclusions” on the Theme of The Elimination and Prevention of all Forms of Violence Against Women. 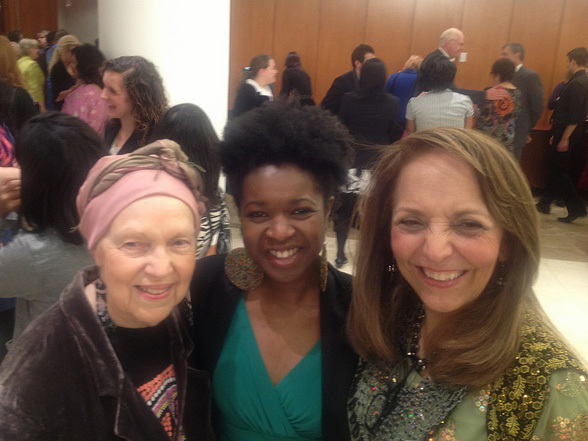 6600 Non-governmental organizations registered and participated with members and delegates at the March 3 -14 UN CSW 57. They convened forums and panels, they exchanged stories and successes and advocated for the agreed on conclusions.